You still read books, leather-bound and digital alike. And you want to be comfortable whilst. Well, it’s all about authentic ease and comfort here, no pretense allowed. 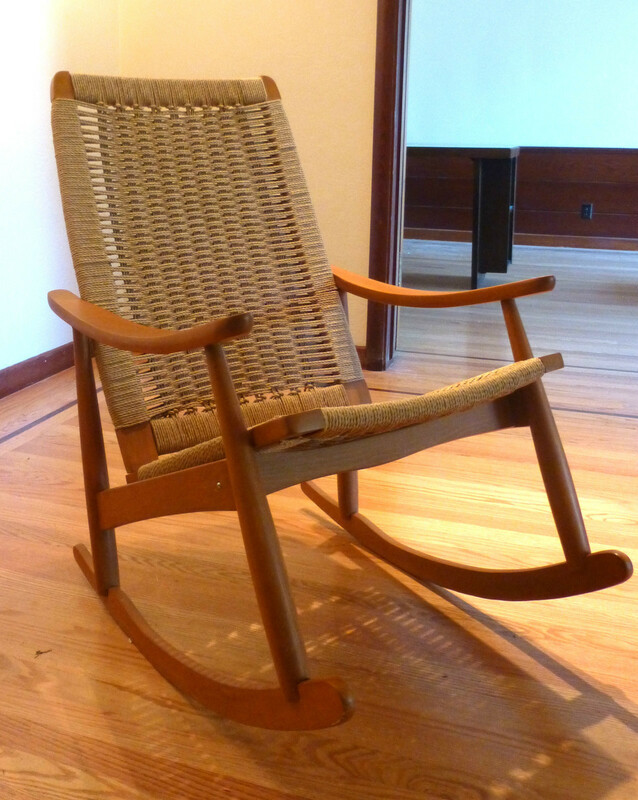 Mid century modern woven rope rocking chair in the style of Hans Wegner. No manufacturer marks visible. Sound, solid wood construction; slot head screws; rope in strong tight condition. Can I purchase this rocking chair.